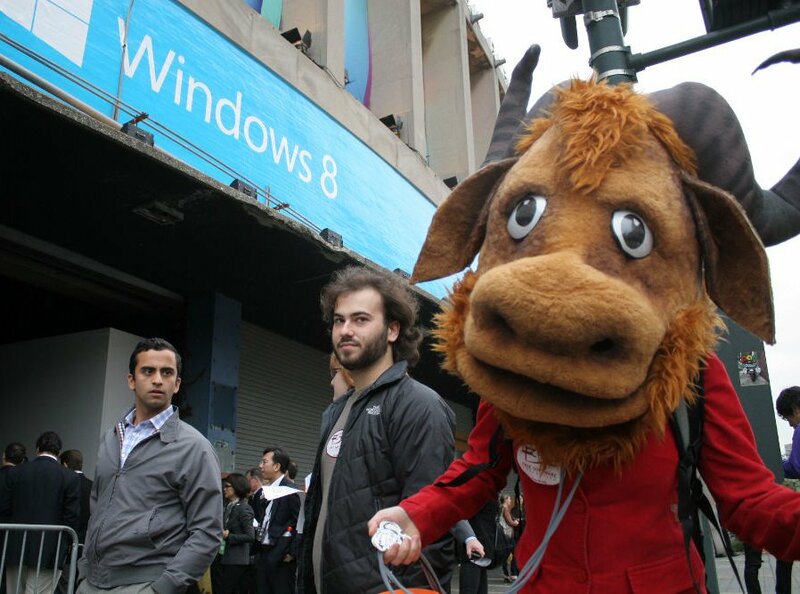 Yesterday morning, the Free Software Foundation crashed the Windows 8 launch event in New York City. 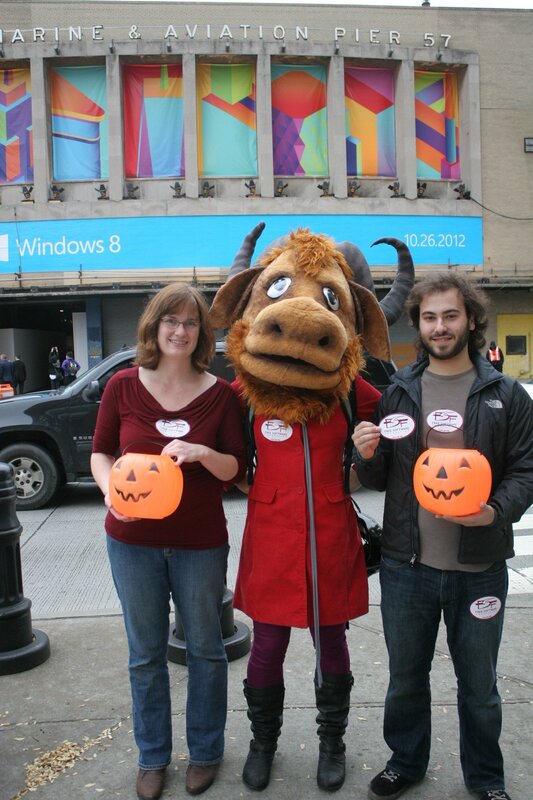 A cheerful GNU and her team handed out DVDs loaded with Trisquel, FSF stickers, and information about our new pledge, which asks Windows users to upgrade not to Windows 8, but to GNU/Linux. Check out these great photos of the fun, and don't forget to sign our pledge! Special thanks to our volunteers, Linnea the GNU and Tristan the photographer, for helping make this action a huge success!